Contact Angela for session rate. 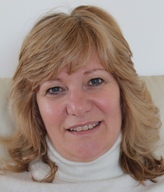 I am an experienced Counsellor having trained at Cambridge University, Institute of Continuing Education. My core training is Psychodynamic which is based upon the understanding of past experience, the way we feel, understand ourselves now, and how we function in the world. However, I think that the wonderful thing about being human is that we are all unique and therefore I tailor the sessions to individual needs of clients. My background is of working in the NHS. Counselling has been a part of my life for eighteen years. I provide a professional, ethical, confidential, nurturing, supportive, non-judgemental, respectful, safe environment where you can work at your own pace, understand yourself and what is going on for you subsequently enabling you to make changes and understanding varied ways of coping if you choose to. I thoroughly enjoy my work as a Counsellor, indeed it is my passion and I am always struck by what a privilege it is to work with the many varied clients I see in my practice. I draw on my own personal experience, extensive training and continued professional development. I have extensive experience of working with young people in an educational setting, adults referred from Community Mental Health teams, work in a primary care setting (GP Practice) including the elderly. I currently run my ow private practice and work in NHS Primary Care.